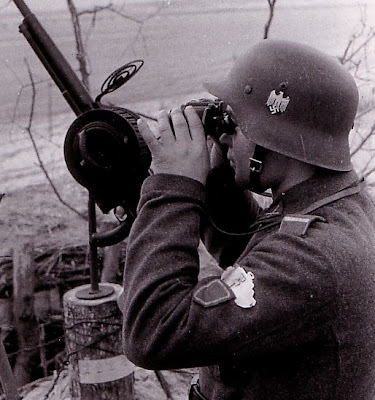 The Reibel machine gun (official French designation Mitrailleuse mle 1931 - "machine gun, model of 1931"), was a machine gun used on French tanks of the World War II era as well as in fortifications such as the Maginot line. 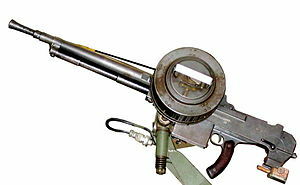 The Reibel machine gun is a gas operated weapon chambered in the 7.5 mm MAS cartridge and was loaded with 150-round drum magazines. The variant used in fortifications was specifically modified with a different rifling to accommodate the balle D heavy ball type of ammunition. Some other guns in French service during late 1940s were converted to ground role, with adoption of the side-mounted 35-roundbox magazines and adapters for US M2 tripods. The Reibel machine gun is a gas operated weapon which fires from open bolt and in full automatic mode only. The long stroke gas piston is located below the barrel, and it operates the vertically tilting bolt group. 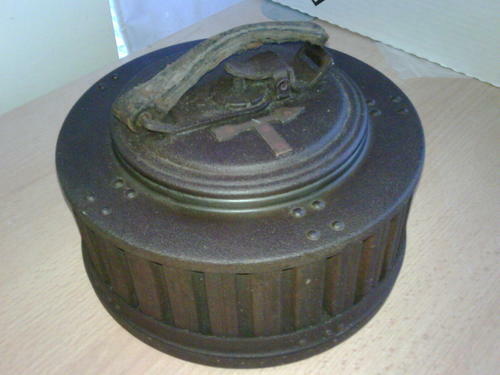 The barrel cannot be removed and replaced in the field. Feed is from multi-layer pan magazines that hold 150 rounds of ammunition (with bullets pointing to the center of the round magazine). Depending on the variant, the magazines can be installed on right or left side of the gun, in vertical plane. Ejection is straight down, through the short chute attached to the base of the receiver. Firing controls include a pistol grip with prominent front-curved shape, and a rifle-type trigger. Normally, a shoulder rest is attached directly to the receiver.